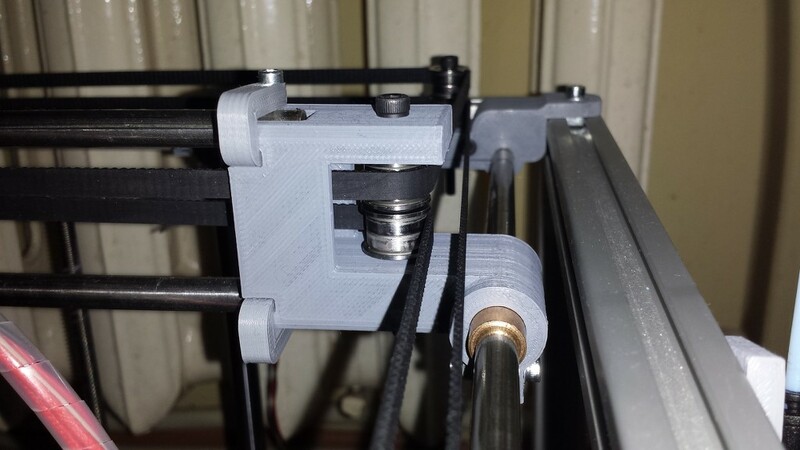 The Z axis design is "borrowed" from the G&C printer but it uses more printed parts, different aluminium extrusion lenghts and the motor is mounted at the bottom. Because of this I used 360mm vertical extrusions. The MK3 heatbed sits on top of a 3mm Dibond plate. 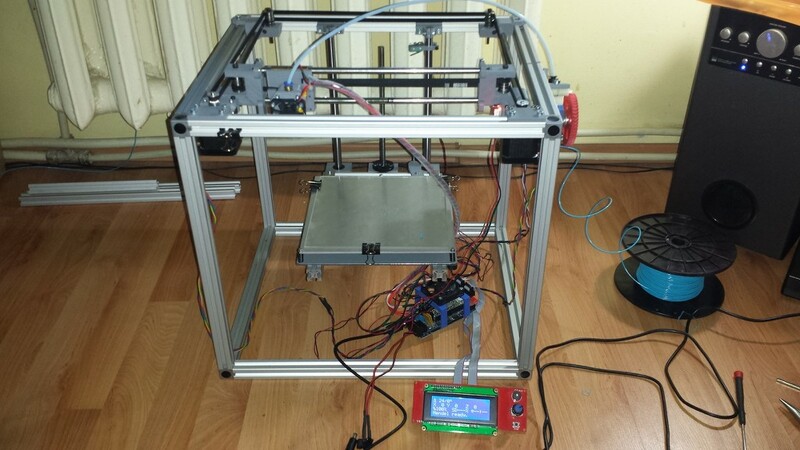 The plan is to use a IR probe (from dc42) for auto bed leveling but for the moment the build plate will be manually leveled because I use it on another printer. Currently the plastic parts are printed in PLA but will be reprinted in ABS after I wire the heatbed and make some minor. The only plastic parts that are not modified are the motor mounts with their rod holders. Cable management is a mess at the moment, I just wanted to see how it works. 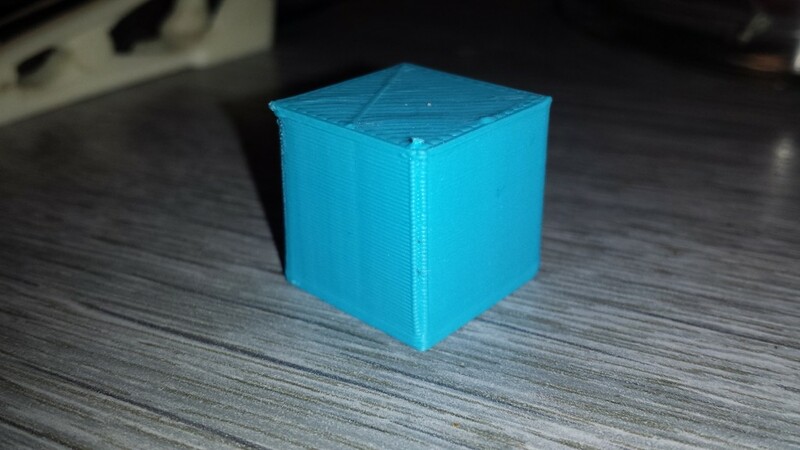 I will post pictures of the print quality after I fine tune the extruder. Edited 2 time(s). Last edit at 12/30/2015 02:22PM by s0me. 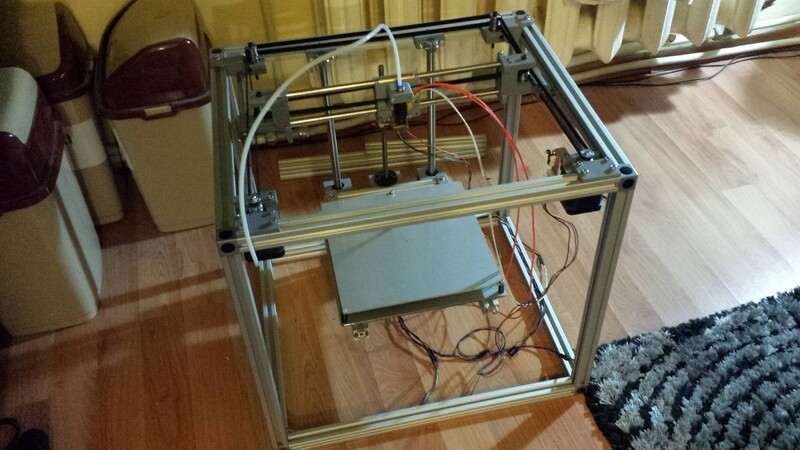 Looks good would you mind sharing your z axis stl's, I'm waiting on a smartrapcore alu and think the z axis will be the first thing needing upgrading. I didnt test it yet so its still a work in progress. 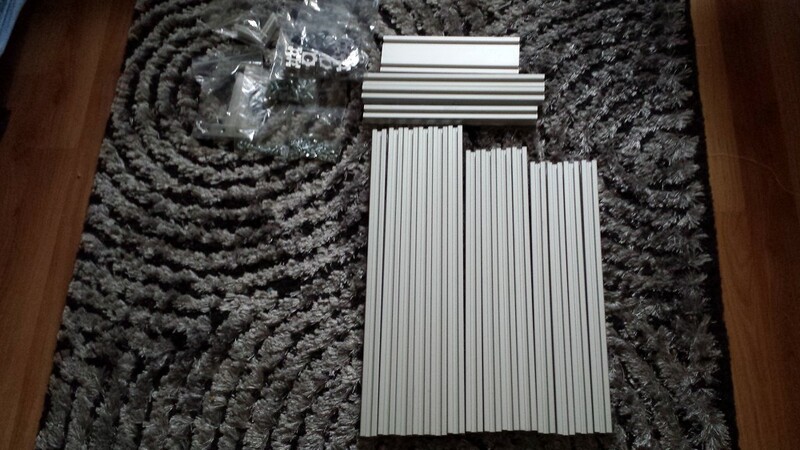 The vertical aluminium extrusions of the frame are 360mm long (original SMC Alu 300mm). STL files and a dxf file attached. Thanks for sharing your build! I'm looking at upgrading (and silencing) my ALU. It looks like you modified your idler and x carriage to account for the flanged bearings would you happen to have those files? If not what did you use for source files, the OnShape machine files? 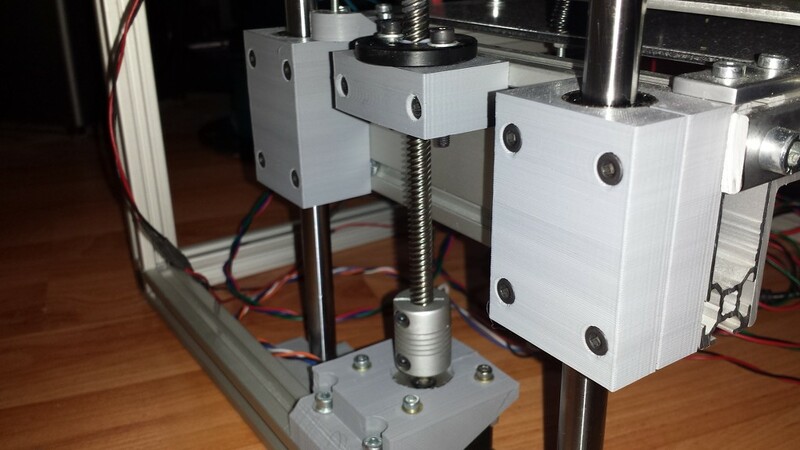 The parts need adjustments because the belts are really close to the XY parts and may rub at the home and the end of the x axis. Another thing that I dont like is the smoothrod fixing method for the X axis. I ordered some T-slot wheels to convert it and use the extra space to mount 2 cooling fans on the sides of the hotend + direct drive extruder. I'll post pictures in the COREXY subforum next week I hope. Your belt pulleys are these something new or different or just the standard scalu bearings without the printed sleeves? If so how do the belts run? I assumed the sleeves were needed to keep the belts on given the crossovers/angles. No, flanged bearings F624ZZ. You could replace yours with F608ZZ + a big washer and get rid of those printed sleeves. Edited 1 time(s). Last edit at 03/12/2016 11:33AM by s0me. Have you done this on your smartrapcore? I tried it and the f608zz bearings were not wide enough for the belts to ride nicely on even with washers, and the belts rubbed on the x carriage. I'd say you want a larger bearing both in terms of outside diameter and width. Edited 1 time(s). Last edit at 04/27/2016 10:28AM by DjDemonD. 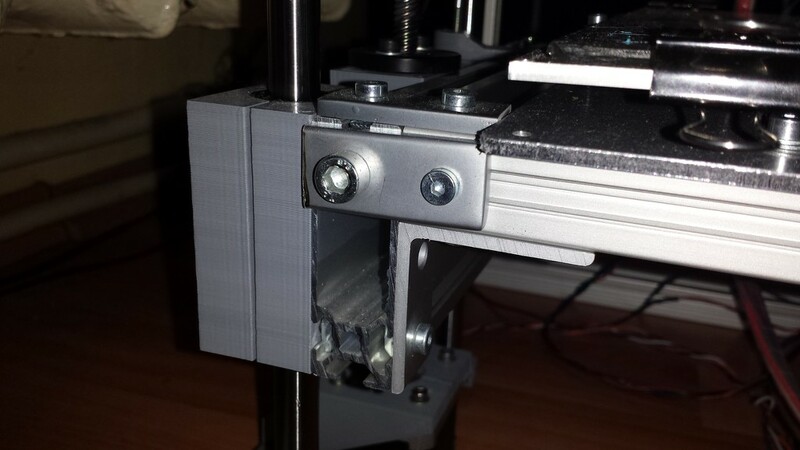 I used the F608ZZ as an idler on my P3Steel's Y axis, it worked fine but I switched to F624ZZ. Never used it on the Smartrapcore which only printed calibration parts. I'll create another topic in the Corexy subforum after I finish the conversion. Did you do the upgrade ? I'm interested ! Also how is your z-axis working ? Edited 3 time(s). Last edit at 04/30/2016 03:43PM by Gibbon91. 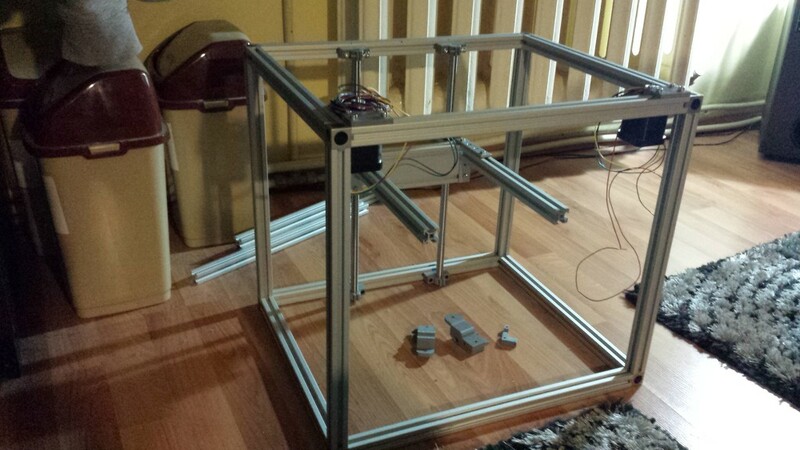 I have to desgn the x carriage, hotend mount, cooling fan mount, endstop holder for Y axis. I'm not looking to gain print volume with this printer. 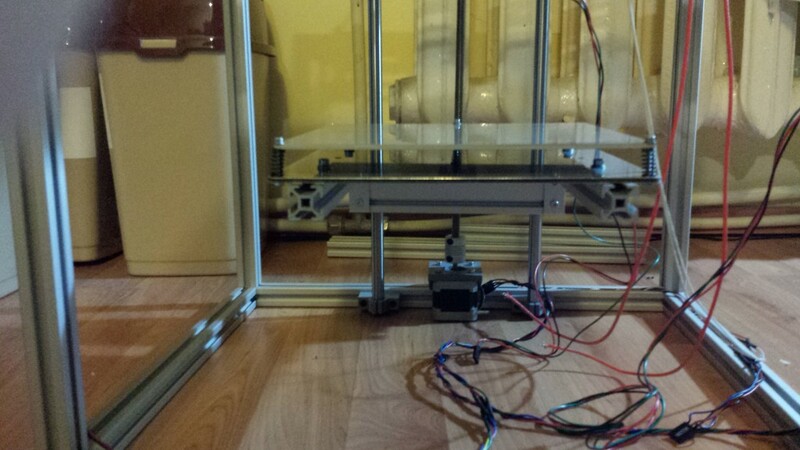 The Z axis seems to work fine, no visible Z wobble effect / banding. Wow, that's so cool ! I think you mean the X axis. It needs belt tension. Edited 1 time(s). Last edit at 05/02/2016 04:34AM by Gibbon91. You can use aluminium gantry plates with V-slot, no need for plastic parts besides the hotend mount (maybe X carriage too?). I can't use V-slot with my corners because the T-slot has a 6mm center hole. Need to redesign the belt clamps or the whole X carriage. Belt tensioning is done via the idlers. Well, let us know if this inprovement is worth it ! the left, but it fits into the groove mount. Edited 1 time(s). Last edit at 05/29/2016 04:06PM by DjDemonD. 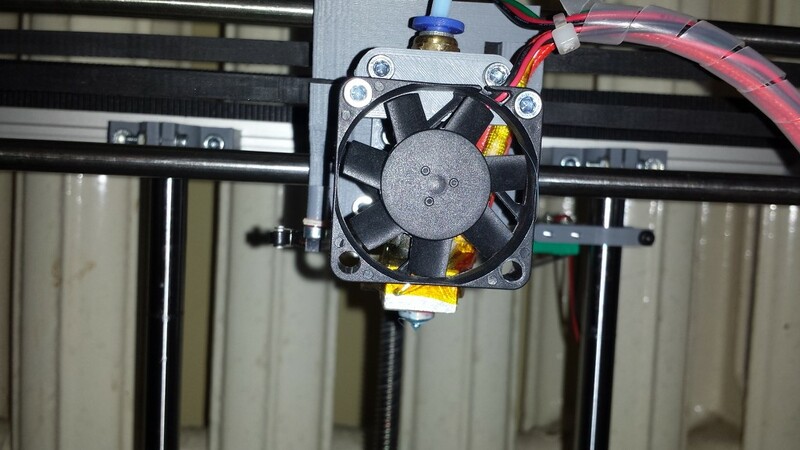 This was what I ended up changing for an E3D V6 hotend. It was just taking the same part in Onshape and sliding the offset down and adding a few extra cutouts for screw clearances. This brought my hotend down below the microswitch about 8-10mm which gave me the comfortable feeling I wouldn't cook the microswitch on the hotbed. Already told you in a private message that I don't own an E3D hotend for this printer. I don't even own a "Smartrapcore" anymore. My design is not compatible with the Smartrapcore anyway.